CPQCC grants the following awards to individual practitioners and clinical teams who make exemplary contributions to the field of neonatal quality improvement. For more information on CPQCC's member data awards, visit the Member Awards page. The Janet Pettit Memorial Award honors the contributions of an outstanding neonatal nurse, Janet Pettit, DNS, RNC, NNP, who worked for over 30 years in the NICU as a clinical nurse, manager, outreach educator, clinical nurse specialist, and nurse practitioner. Janet was a tireless volunteer with CPQCC, lending her expertise to the Perinatal Quality Improvement Panel (PQIP) for over 13 years. She also served as a clinical consultant to the California Children's Services' (CCS) Central Line-Associated Blood Stream Infection (CLABSI) Collaborative. Janet led multiple publications and clinical research efforts in the area of vascular access. She was the co-author of the National Association of Neonatal Nurses (NANN) PICC Guidelines, was a task force member for the AVA Best Practice Guidelines for Pediatric Central Venous Catheters and served as a reviewer for the Infusion Nurses Society's Infusion Standards of Practice and on the Board of Directors for NANN and the Association for Vascular Access. For her excellence in vascular access, she received the Suzanne LeVere Herbst Award. The Pettit Award is granted to a Registered Nurse (RN) or advanced practice nurse (NNP, CNS) who has made significant contributions to NICU quality improvement within their own unit and beyond, in honor of Janet's legacy. 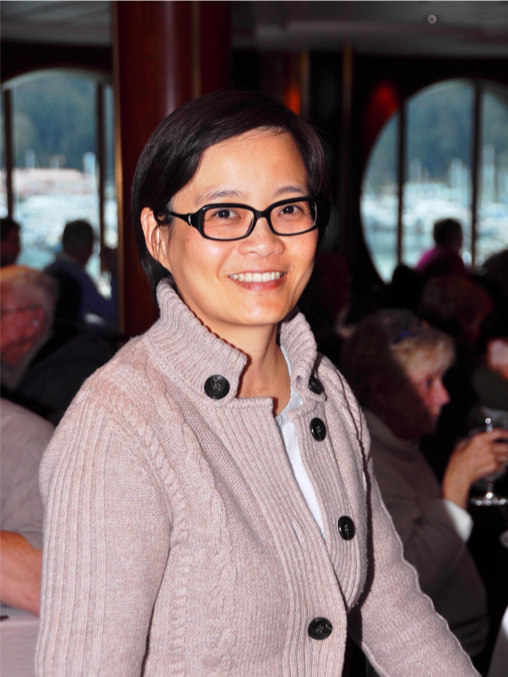 Ching has made exceptional contributions at Miller Children's & Women's Hospital, where she leads the NICU's Continuous Quality Improvement (CQI) Committee, Small Baby Program, and Therapeutic Hypothermia Program. She also serves as an IHI Improvement Coach. David Wirtschafter is a leader in neonatal quality improvement. After finishing his pediatric training at the Stanford University Medical Center and the University of Alabama, Birmingham Medical Center he joined the Southern California Permanente Medical Group as its Regional Coordinator of Perinatal Services and practiced as a neonatologist until his retirement in 2006. He also served as a consultant to California Children’s Services and the California Children’s Hospital Association on their collaboratives to lower the rate of neonatal healthcare-associated infections. David retired from clinical practice in 2012 and moved to Israel where he volunteers as a mentor for 3rd-year medical students at the nursery at Soroka Medical Center and is a member of the Israeli Neonatologists Committee, managing a quality improvement collaborative focusing on decreasing healthcare-associated infections in Israel’s NICUs. David was a member of CPQCC from its inception in 1997 and served as the chairman of the Perinatal Quality Improvement Panel (PQIP). After chairing PQIP for a decade, David remained active in the committee’s progression towards statewide quality improvement initiatives and served as an expert panel member on CPQCC’s first collaborative in 2008. He was the inspiration behind the creation of CPQCC's QI toolkits and continues to participate actively on the PQIP Research Subcommittee, continuing his lasting impact on the lives of newborns across the state of California. The Wirtschafter Award is jointly sponsored by CPQCC and the California Association of Neonatologists (CAN) and is awarded to individual leaders in neonatal quality improvement or NICU QI teams that have contributed not only within their unit but across the neonatal community, in honor of David's ongoing dedication to improvement in the field. David obtained his undergraduate and medical degrees from Stanford University, completed his pediatric residency at Yale University, and a neonatal fellowship from UCSF. He has since excelled as a practicing neonatologist at UCSF Benioff Children's Hospital, San Francisco and since 2000, as the Regional Physician Coordinator of Neonatology for Kaiser Permanente, Southern California. David has been a dedicated member of CPQCC since its inception, having served on the CPQCC Executive Committee and PQIP since 2006. He recently served as the chair of the PQIP Data Interface and Opportunities Committee (DIOC). David's interests include cross-medical center NICU quality improvement and modeling NICU bed and workforce forecasting algorithms.